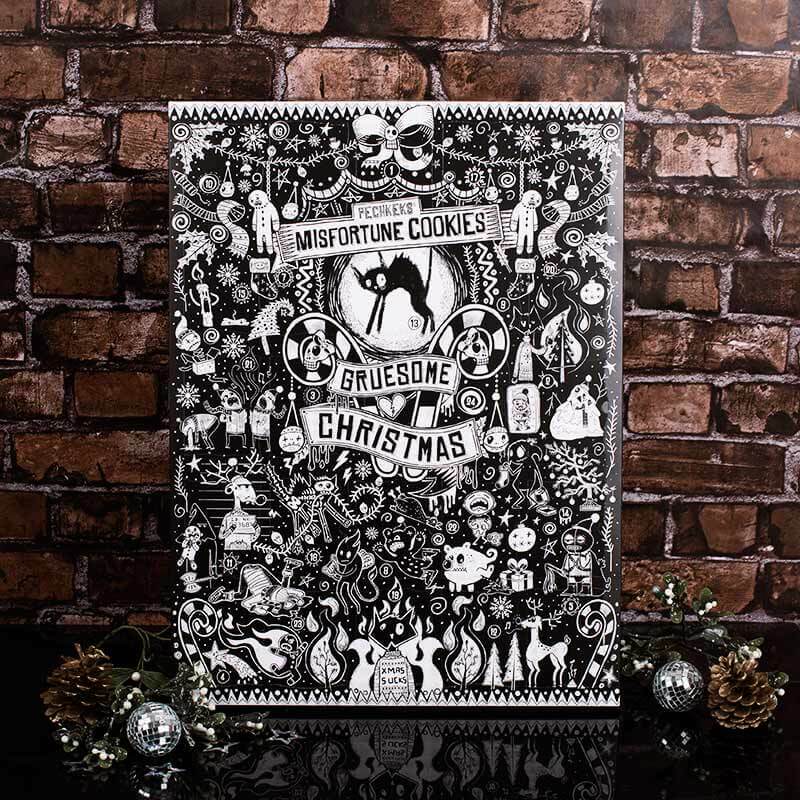 Long gone are the days of boring advent calendars. 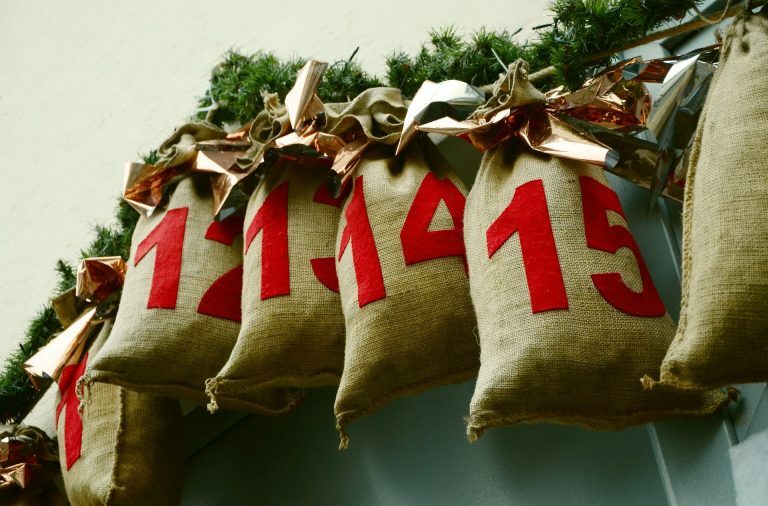 From humble cardboard beginnings, comes this treasure-trove of advent wonderment. There really is something for everyone. This Lancôme 24 days in a Parisian Wonderland just oozes luxury. With 24 doors hiding makeup, skincare and fragrance from Lancôme, YSL, Victor & Rolf and Ralph Lauren, it is sure to add sparkle to anyone’s December. Available at Boots for £95. Get 10% off at Boots right now – although be quick, it’s available today only! 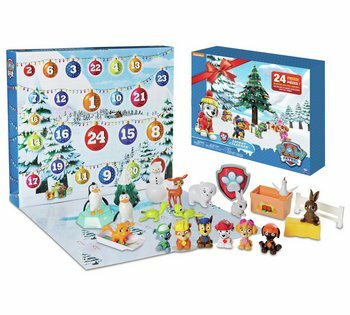 Kids up and down the country have gone mad for PAW Patrol so this advent calendar is sure to delight. 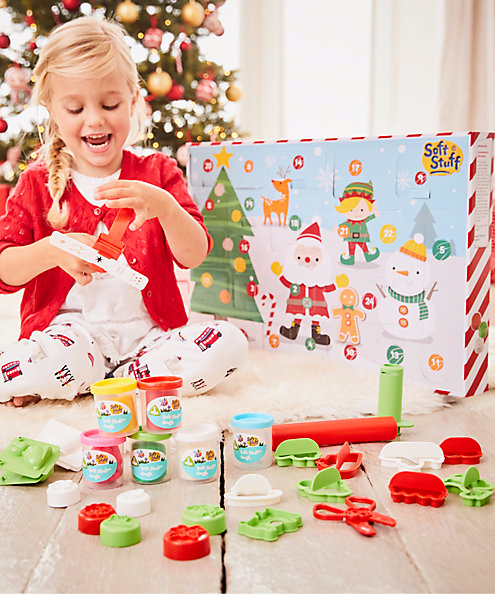 It includes 17 figures and 7 accessories so it’s the perfect way to keep the little ones entertained. Available at Argos for £24.99. 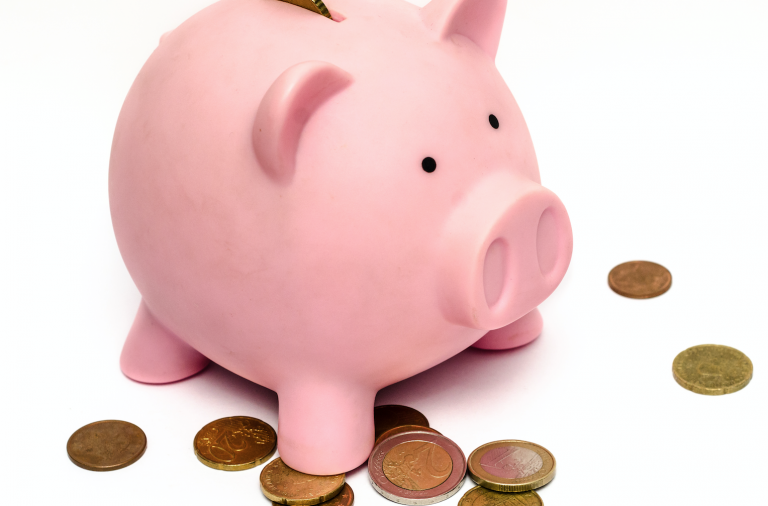 Make an impact on your Christmas shopping and get money back in the process with this £5 reward at Argos when you spend £125. 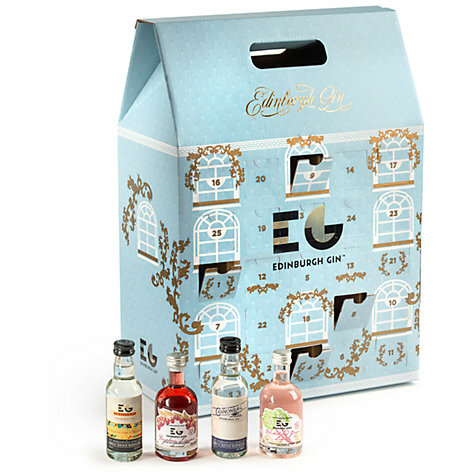 Anybody who has sampled Edinburgh Gin will be incredibly excited to discover this advent calendar. Exclusive to John Lewis, this scrumptious box includes 25 mini bottles of gin of all flavours from hints of juniper and pine to soft spice and lavender. Available at John Lewis for £100. 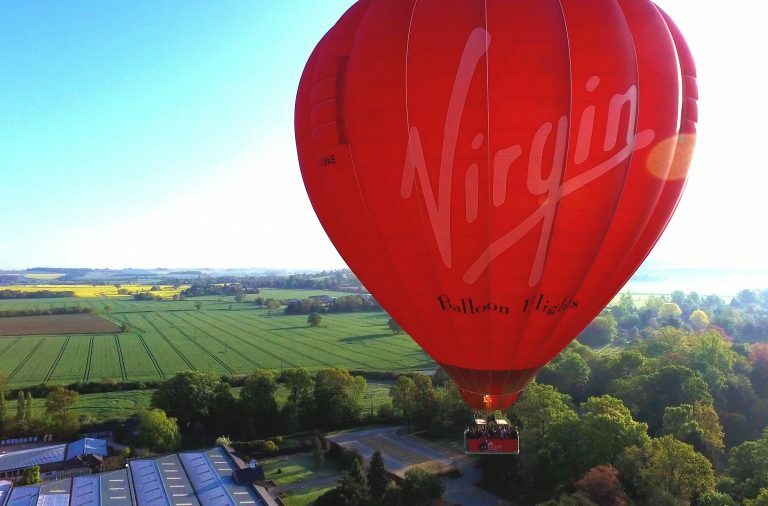 Check out the latest John Lewis promotional codes and sign up for the John Lewis voucher alerts to hear about the latest offers as soon as they become available. 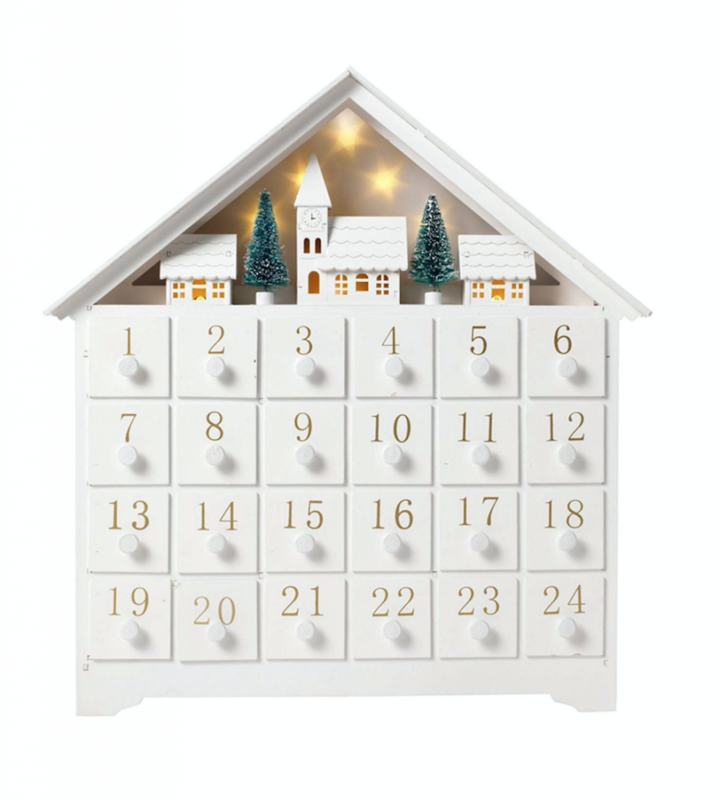 This delightful Linea wooden advent calendar is the perfect addition to any mantelpiece. The best part has to be the lights that shine behind the village scene, filling you with a warm festive glow. Available at House of Fraser for £45. Spend £50 at House of Fraser and get a £5 reward, or if you’re getting a few bits, a £10 reward when you spend £100. This marvellous advent calendar from Early Learning Centre is a doughy box of joy. It includes six tubs of dough and 18 accessories so the lucky recipient can craft and create to their heart’s content. Available at Early Learning Centre for £12.50 (currently half price). 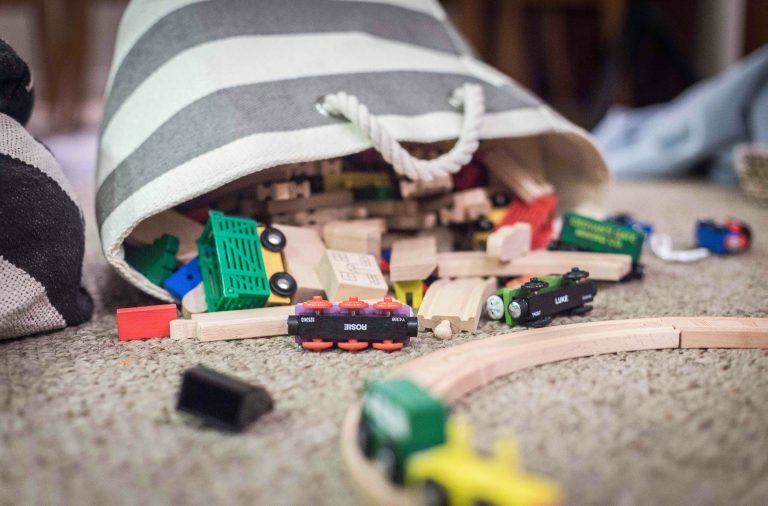 Get £10 off at Early Learning Centre when you spend £50, or splash out and get £20 off an £80 shop. Available at Prezzybox for £27.99. 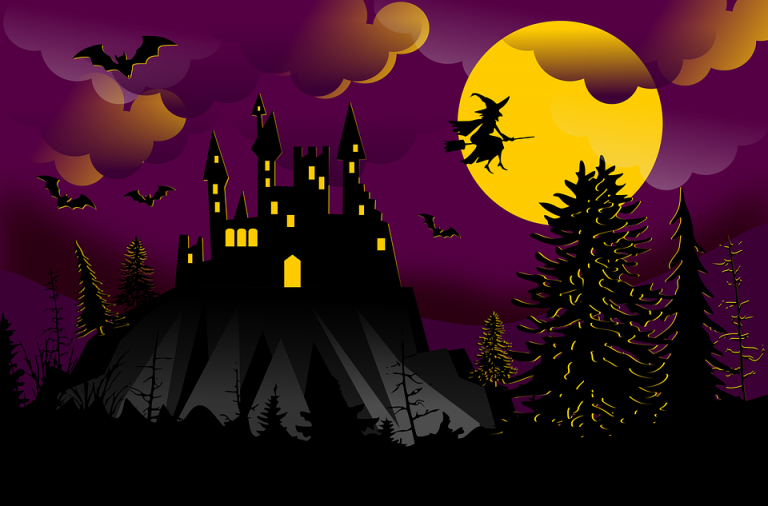 Snap up 10% off at Prezzybox right now when you spend £35. 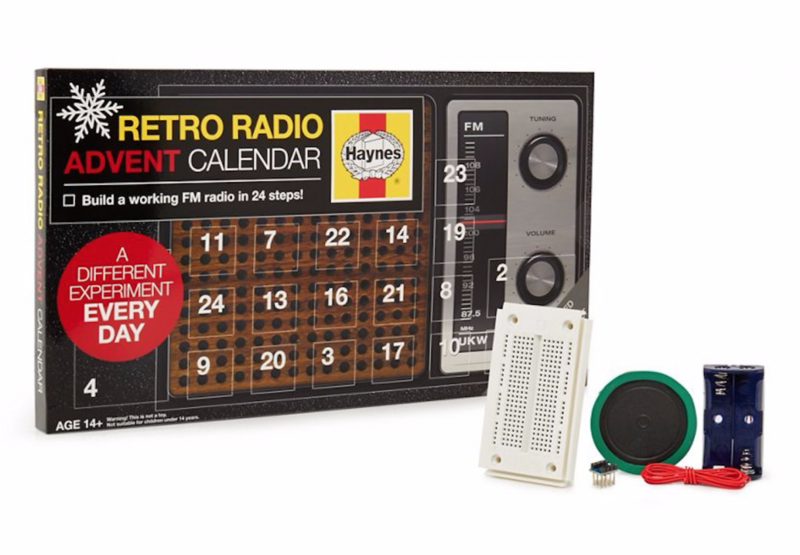 This Haynes retro radio is the perfect gift for techies. Behind each door is a different experiment which put all together on the 24th day will create a working FM radio. Pretty cool huh?! Available at Debenhams for £25. Right now you can 10% off at Debenhams when you spend £50. 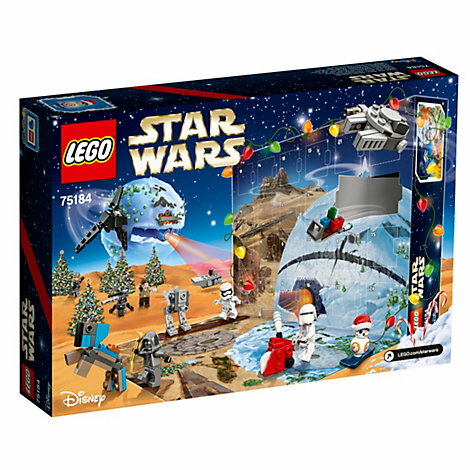 This LEGO Star Wars advent calendar is sure to bring a lot of smiles this December. Each door contains a surprise minifigure, starship, vehicle or other collectible. You even get a foldout playmat to recreate your own Star Wars adventure. Available at Disney Store for £24.99. Snap it up for £19.99 with this 20% off Disney Store voucher. 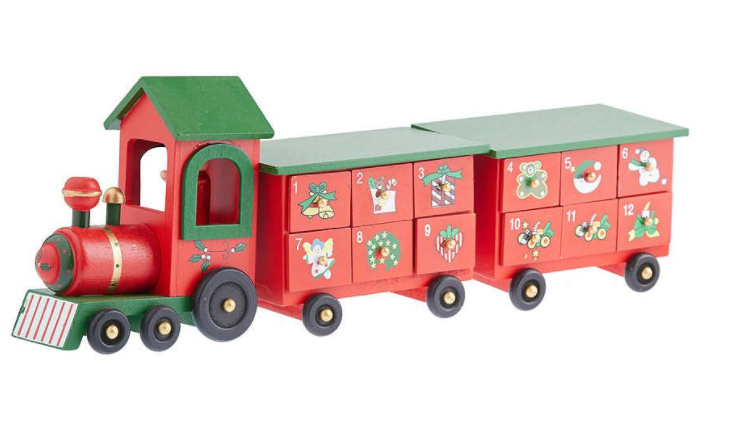 Wooden toys are charming, and this little train from Tesco is no exception. The beauty is you’re free to fill it’s carriage drawers with any wonders you like – plus you can use it again and again. Available at Tesco Direct for £19.99. Do all your Christmas shopping at once and make the most of this £5 Tesco Direct reward when you spend £125. 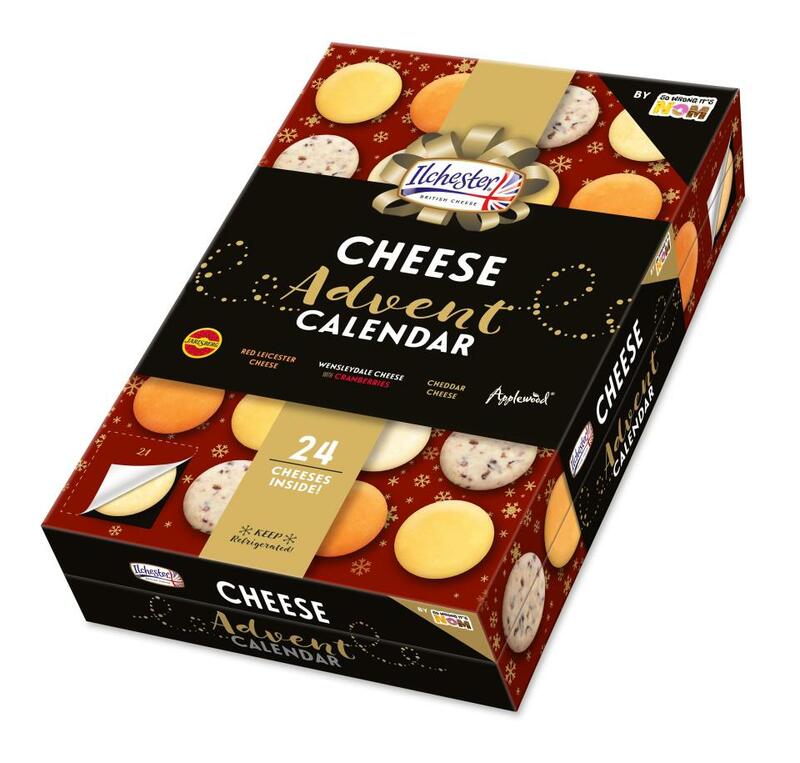 Yes, that’s right… the world’s first cheese advent calendar is coming to ASDA stores near you. Including Jarlsberg, Applewood, Ilchester Mature Cheddar, Ilchester Red Leicester and Ilchester Wensleydale with cranberries, this is truly a treat for any cheese fan. Available at ASDA for £8 from 6th November. Sign up for ASDA voucher alerts to hear about the latest deals at soon as they become available.